Rain delays prevented No. 23 Cal softball from taking on No. 1 Washington to begin the weekend, but the bad weather wasn’t enough to disrupt the Huskies’ rhythm as they cruised past the Bears, 3-1 and 9-1, in Sunday’s doubleheader. Both Friday and Saturday’s games were postponed because of Seattle’s dreary weather, so the series was shortened from three games to two, and the games were ultimately scheduled to be played Sunday. Washington did not skip a beat against a Cal team that hasn’t played well against ranked teams. With the wins, the Huskies tied their program record for most wins at home without a loss, improving to 15-0 on the year. Washington also surpassed the 40-win mark on the season and now stands at 41-2 overall — the program’s fourth 40-win season in the last five years. On the flip side, Cal continues to rack up losses in conference play. The Bears now hold a 1-10 Pac-12 record, despite exhibiting a 26-13 overall mark. 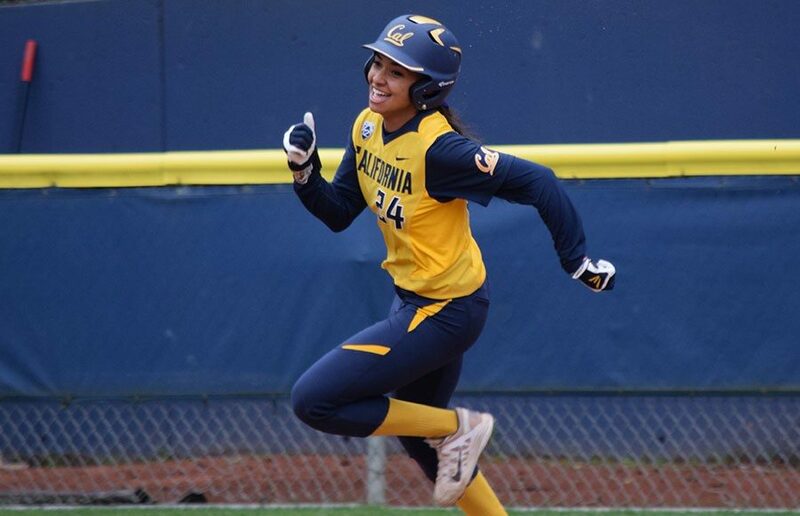 The Cal offense struggled to produce against junior Taran Alvelo and freshman Gabbie Plain, two of the best starting pitchers in the country.The Bears only mustered up two total runs and combined for a .128 team batting average over both games. The Huskies took this game by a score of 3-1 over the course of two days. The first three innings were played Saturday, until play was suspended because of safety concerns caused by excessive rain, and play continued under better conditions Sunday morning. When play resumed Sunday, the game was still scoreless, but redshirt junior pitcher Zoe Conley was unable to keep the Huskies off of the scoreboard in the bottom of the fifth inning. Washington’s best hitter, senior Kirstyn Thomas, put her team on the board with an RBI groundout, but the damage was far from done. Senior Julia DePonte then delivered a two-run homer in the very next at-bat, giving the Huskies a 3-0 lead. Cal responded with one run in the seventh after freshman Lauren Espalin’s grounder resulted in an RBI fielder’s choice, but it was not enough to mount a substantial comeback against Alvelo. The junior allowed just one run on two hits to go along with eight strikeouts, upping her record to 21-1 on the year. 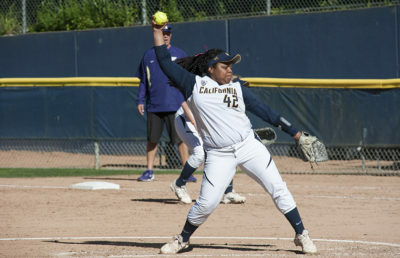 While Conley produced a solid line as well in the loss, giving up three runs on eight hits in a complete game, she dropped to 11-10 in her second season with the Bears. The second game of the day featured an uncharacteristic poor start from junior transfer Kamalani Dung, and it ended with a 9-1 run-ruled Washington victory. In the midst of an impressive inaugural campaign with Cal, Dung only went 2.2 innings while surrendering four runs on six hits. 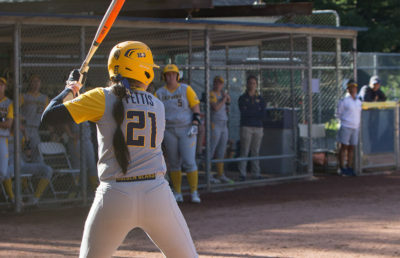 Conley entered the game in the third, but she faced similar struggles against the Huskies’ potent offense, allowing five runs across the next three innings. Meanwhile, the Bears’ offense was still unfound. Washington’s offensive attack was led by freshman catcher Emma Helm. Helm finished 2 for 3 with a walk, accounting for four of Washington’s nine runs by way of three RBI and one run scored. 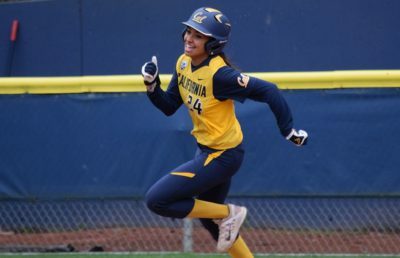 Cal’s lone bright spot in this game came in the sixth inning, when freshman Karlee Sparacino singled to bring home junior Lindsay Rood for the Bears’ only run against the freshman Plain. With a difficult series against the Huskies in the books, the Bears return home to face unranked Utah next weekend in Berkeley, hopeful that their bats wake up as conference play continues on.